photokina 2010 « efix:photography – News. Thoughts. Pictures. 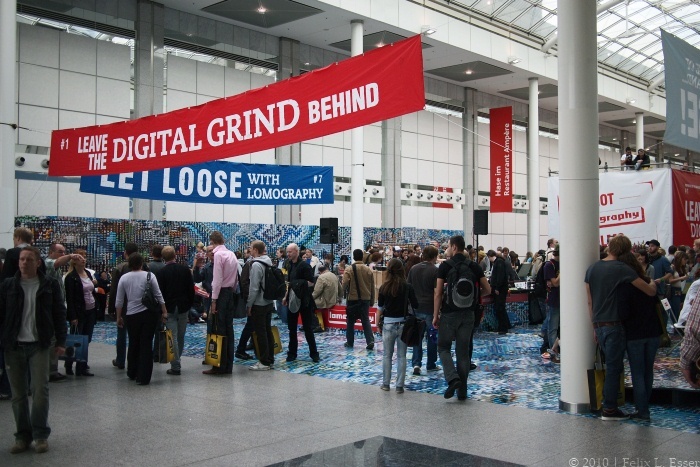 This is the accompanying gallery to my report on the Photokina 2010. Here, you can find all the impressions I gathered at this year’s Photokina which are not related to a specific manufacturer or product. All pictures were taken either with the Olympus E-P1 and Lumix 20/1.7, or with the Leica M8 and Nokton 50/1.5. "Leave the digital grind behind!" The motto at the Lomo stand. Note: This gallery isn’t made up like my other galleries, i.e. it doesn’t consist of clickable thumbnails but of a series of pictures like in my other regular posts. As I previously announced, yesterday I spent the day visiting photokina 2010 in Cologne, and I brought back with me a huge load of impressions, pictures of latest models, of prototypes, and other stuff. So without much ado, here’s my report on the fair — by manufacturer, in alphabetic order. General impressions from the fair will be posted in a seperate gallery soon. CAUTION! Massive amount of pictures ahead! Make sure your connection is fast enough, and that you have enough time! Today the second day of Photokina went past, and it seems the main announcements have all been made either yesterday or the days before photokina. Still, there are some small things to report on. Panasonic presented a new Micro Four Thirds lens roadmap, which mentions a 25mm f/1.4, a “bright zoom” and a “bright wide angle”. See 43rumors.com. The Panasonic Lumix GH2, successor to the first full-HD-video-capable MFT camera, the GH1, is now also official. As rumored, it features a new 18 megapixel multi-aspect-ratio sensor, a design close to the G2 and some other interesting upgrades. See dpreview.com, who also have a preview of it. 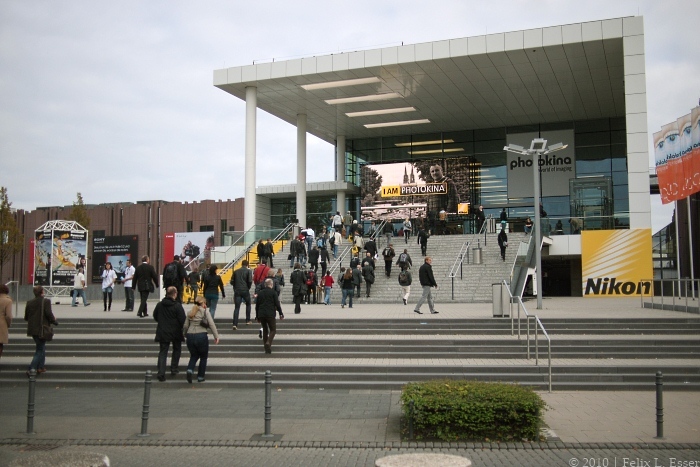 Okay, so today was the first day of photokina, so let’s see what there is to report on. Some exciting stuff from Leica, Fujifilm and Olympus was already announced yesterday, see my previous post. Today, another Leica goodie was presented: the long-rumored, all-black Leica X1! It’s got the same features as the standard model, the only differences being the all black body and a slightly more textured “vulcanite” leatherette covering. In this way, the X1 fits perfectly into Leica’s tradition of offering a silver-and-black next to an all-black version of each of their rangefinder camera models (– the X1 being the exception of course, as it isn’t a rangefinder). 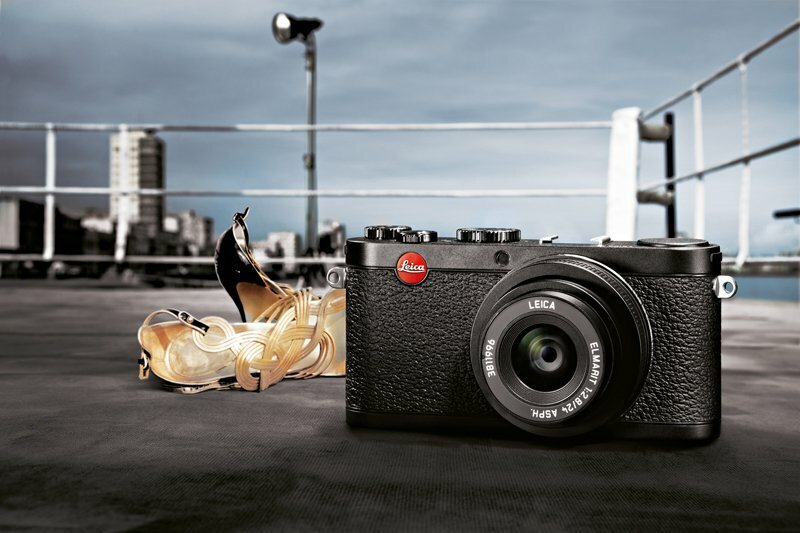 The new all-black Leica X1. Picture courtesy of Leica Camera AG. Half an hour ago, at 10:00 central european summer time, this year’s photokina has opened its gates at the koelnmesse in Cologne, Germany for visitors from all around the world. As always, accompanying the main fair there will be some exciting announcements of new products, which no doubt will be covered by the one or the other – if not most – photography related magazines and websites. My plan for this week is to do a little summary of all the exciting new announcements at the end of each day, and early next week, when I’ll have personally visited the fair, I’ll provide you with a hands-on report on the latest and greatest in the world of photography. So, stay tuned, and in the meanwhile enjoy the real-time photokina coverage provided at many other sites around the web!